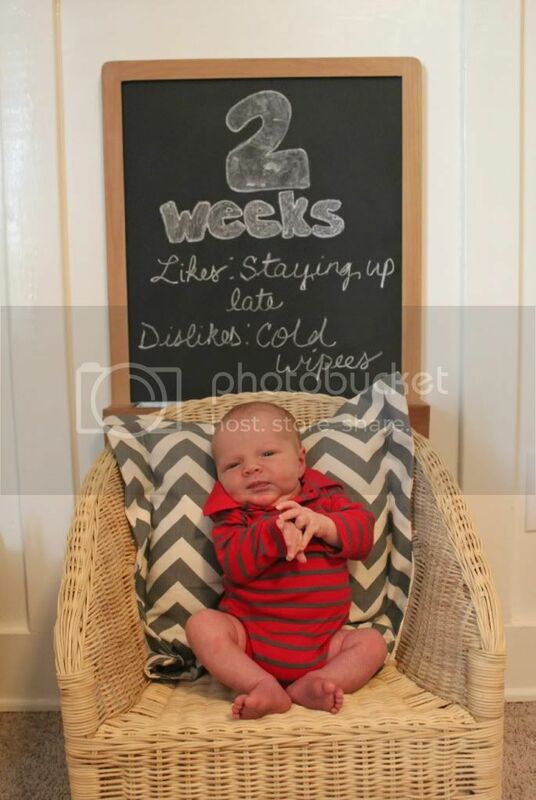 We can't believe you are already two weeks old, Baby Bear! 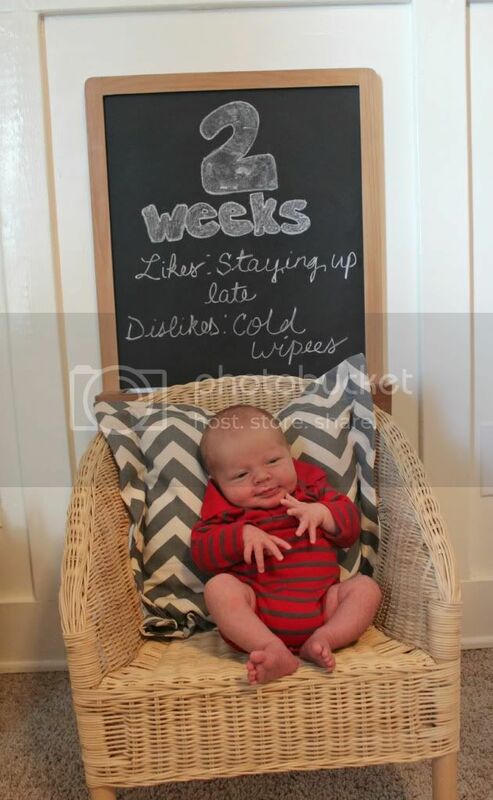 This week has been so much fun; we've loved watching you adjust to life outside the womb. Your big blue eyes take everything in and you constantly smile in your sleep. You go through diapers like nobody's business; thank you for keeping Momma nice and busy! You've been sleeping well through the night but it's usually tricky getting you to cooperate with Daddy's bedtime...you're a night owl like your Mommy. 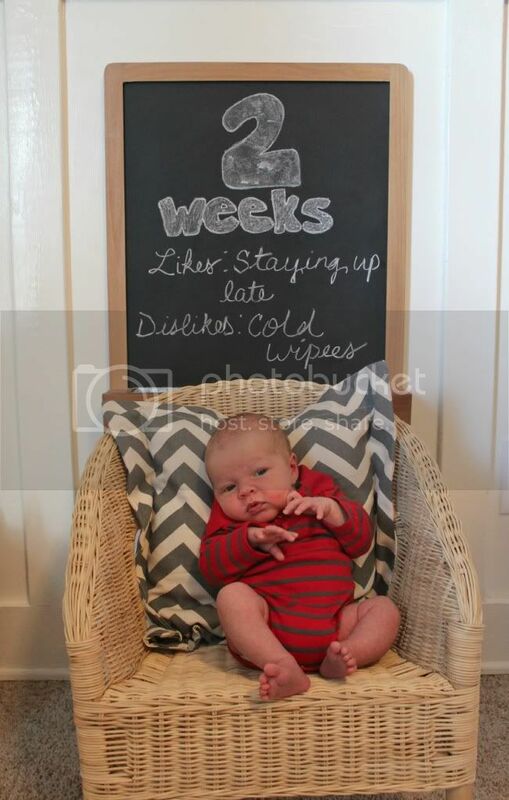 We love you, Little Man, and can't wait to see what "firsts" the next week brings.